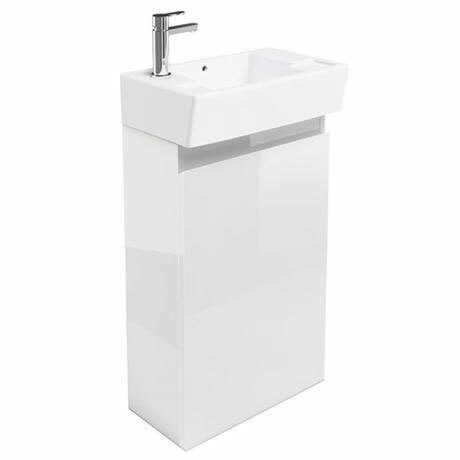 This stylish Britton Bathrooms floor mounted deep cloakroom vanity unit and basin is perfect for any cloakroom with its stylish look and spacious storage. Cloakroom basin available in a left or right hand, please choose your required option. Please Note - Taps sold separately. Q. Does this have a cabinet door that opens? Hi, yes this Britton Bathrooms unit with basin includes a cabinet door. Hope this helps!